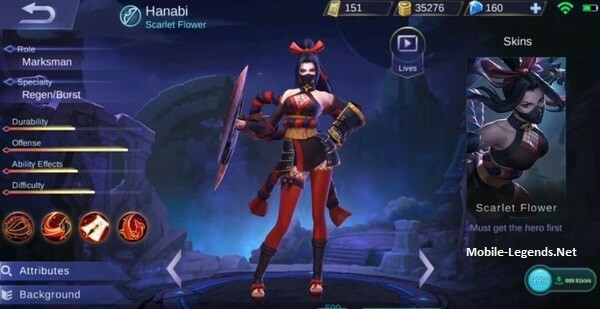 Hanabi, the new marksman! Scarlet Flower! Who can deal huge damage when fighting face to face enemy. So Hanabi! 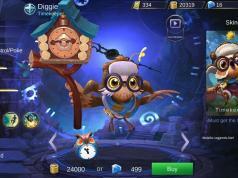 599 Diamonds and 32k Battle Points, don’t forget the Launch Week Discount 30%. Every ADC players needs Hanabi. 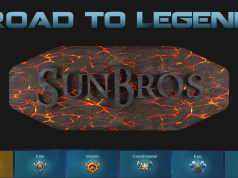 Have fun with this brutal hero! Passive: Ninjutsuz Equinox, The Scarlet Shadow’s secret technique. When Hanabi has full HP. health that would have been granted from Lifesteal is converted into a shield for up to 20% of her Max HP. When this shield is active, Hanabi is immune to all control effects. Skill 1: Ninjutsu: Petal Barrage, Hanabi consumes mana to unleash the flower demon sealed within the Higanbana, firing petal blades at her enemies. After each basic attack hits, a new blade will spawn and deal physical damage to the enemy. The number of petals fired will increase with Hanabi’s level. Passive: Hanabi’s Lifesteal will increase each time this skill’s level is upgraded. Skill 2: Ninjutsu: Soul Scroll, Fires a kunai in the specified direction, attached to a scroll sealed with demonic flower energy, dealing physical damage to enemies it hits along the way and slowing them. Hanabi will recover mana for each enemy hero hit. Ulti: Forbidden Jutsu: Higanbana, When you see the leaves, you cannot see the flowers, when you see the flowers, you cannot see the leaves, and when the flowers open, the leaves die. Hanabi completely unlocks the Higanbana’s seal and launches it at the enemy. After hitting an enemy, the Higanbana blooms, dealing physical damage and immobilizing the enemy, then spreads to nearby enemies. After a certain period of time, if the enemy is still within range of the Higanbana, a new flower will appear, causing the same damage and immobilization effect. The spreading effect only works once per hero. Hanabi Received the teachings of the Scarlet Shadow ninja sect’s Supreme Grandmaster from a young age, exhibiting natural talent that far exceeded any of her peers until she met a young shadow ninja called Hayabusa. As the two of them slowly grew up together, it began to dawn on Hanabi that this young shadow carried the burden of an inescapable fate — Hayabusa was in fact destined to challenge and kill the legendary former Shadow of Iga for his betrayal of their clan. Whenever she saw Hayabusa and the young spiritualist KAgura smiling and laughing as they greeted each other, her heart would fill with inexplicable rage and vexation.